The programmes and governance of the IPAC are guided by a steering committee comprising of persons from different backgrounds and regions. Of the seven members of the committee, six are from India, and one from Nepal. Ms. Faiza Abbasi, Aligarh, India: A researcher and faculty member works at Aligarh Muslim University in the department of wildlife sciences. She is a big supporter of public-civil society-private partnership for the promotion of human rights and public good at large. 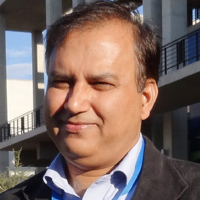 Mr. Narender Kumar, New Delhi, India: One of the promoters of IPAC. He has worked at grassroots, for policy engagement. Steered PAIRVI as its Director for eight years. Major areas of interests are public policy engagement and human rights. 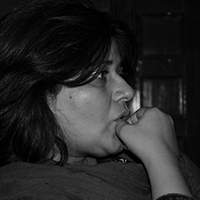 Ms. Rekha Singh, Benaras, India: She is the secretary of Mahila Sawarojgar Samiti in Varanasi, UP. She has 17 years of work experience on women and child rights issues. She was recently adorned with the Hindustan Times Women Award in 2013 for her work on education of Dalit Women in Varanasi. Ms. Vidyavati, Delhi, India: A teacher by profession, she works with the department of education, Delhi. She is an expert on the issues of education with 22 years of experience. She has received several awards for her determined work on enhancing the educational standards in government schools of Delhi. Ms. Kiran Singh, Delhi, India: She has been trained as a social worker – Masters in Social Welfare. Govt of Delhi – Integrated Child development Scheme. She has expertise in Child and Women outreach programmes. Ms. Shivani Gupta, Mumbai, India: Animator and Film maker by profession. She remains the expert on ICT for IPAC. She supports the organization on the specialized issue of the role of ICT in lobbying and advocacy strategies. Mr. Hanuman Sahay, Rajasthan, India: Based in Delhi. Has completed his Masters in Social Work from JVBI, Rajasthan. He has almost 10 years of experience in the field of non-profits, especially in child, health and women empowerment issues. Has been involved with IPAC since its inception.